Gorilla Carts Garden Dump Car GOR6PS WI,IL,IA,MI $79.99 or surrounding areas. 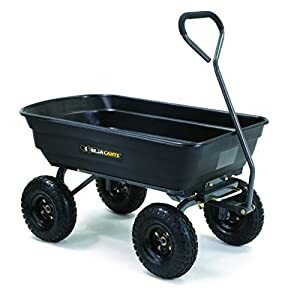 The Gorilla Carts Garden Dump Cart will haul tough loads with ease. Its patented quick release dump system allows the cart to be loaded and unloaded more conveniently. The durable poly tub is easy to clean and is rust-resistant. 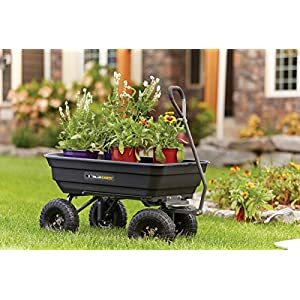 This Gorilla Carts Garden Dump Cart features a balanced 4 wheel design and pneumatic tires for handling all types of terrain. Tire Size: 13"Bed Dimensions: 40" x 25.6"
Farm and Fleet has the Lifetime Tamarack 120 Angler Kayak on sale for $199 down from $369. This NOT the green different model that Walmart sells. I bought one this year and it has been an awesome kayak. Very durable and a lot of fun to fish from. Does not qualify for free shipping due to freight nature. The Lifetime Tamarack 120 Angler Kayak is a "sit-on-top" kayak that has a comfortable padded seat backrest for your long paddling and fishing adventures. Designed for extreme safety and stability, the Tamarack Angler has a stable flat bottom with deep tracking channels and stability chine rails. The kayak is constructed of blow-molded high-density polyethylene (HDPE) making it durable, UV-protected, and impact resistant. The 52 pound design and front and rear carry handles make it easy to transport. Anglers will appreciate the two flush-mounted fishing pole holders and one top mount rotating rod holder, perfect for a day of fishing.